WHY GO: Though a part of the Great Northern Catskills, Catskill NY belongs, also, to the Hudson River Valley. Right on the Hudson River, this is where our forebears, including the eminent American painter, Thomas Cole, came to revel in the beauty of the Catskill Mountains. You can tour Cole’s home and studio, wander an adorable Main St. peppered with painted cats, and dine on the bounty of the Hudson River Valley. Pair this getaway with the Maven’s Mountain Escape for the best of this region. TOUR: Thomas Cole National Historic Site. 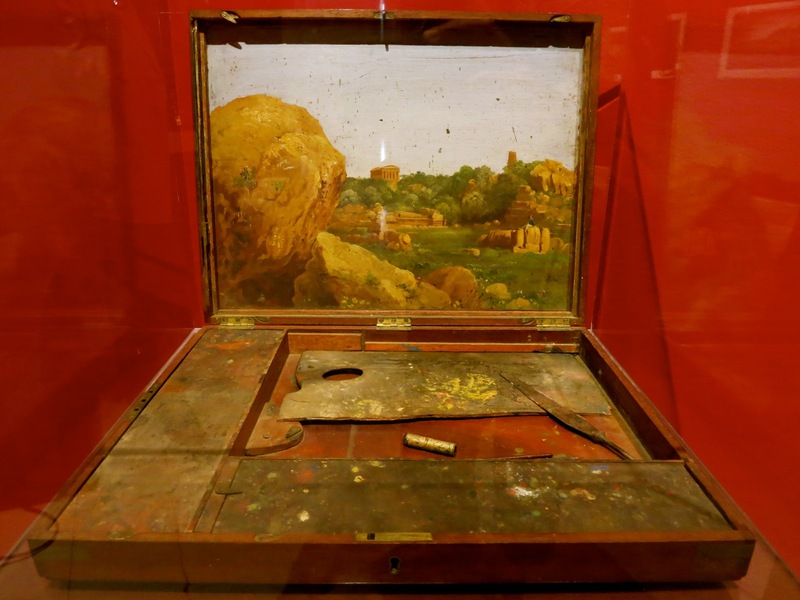 Thomas Cole is considered the Father Of American Art. As founder of our nation’s first major art movement, The Hudson River School, Cole impelled citizens to visit and preserve our natural wonders (as opposed to fearing and avoiding the wilderness.) 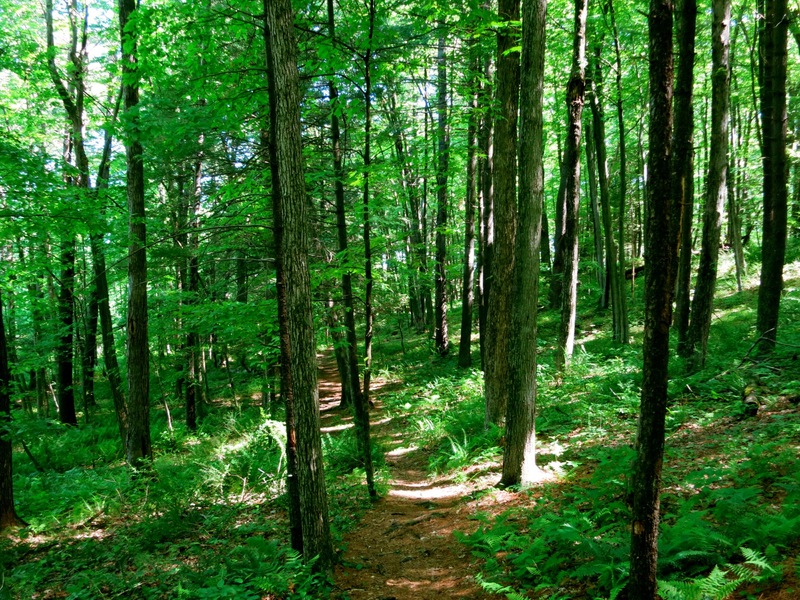 And like the region’s writers, Washington Irving (Legend of Sleepy Hollow, Rip Van Winkle) and James Fenimore Cooper (Leatherstocking Tales, Last of the Mohicans), Cole romanticized nature, viewing it as an expression of the divine. He lived here, took forays into the mountains to paint, and much of the landscape is just as he rendered it on canvas (though he worked from sketches and tended to enhance and transform them from “real” to “ideal”). Born in England in 1801, Cole emigrated to the US with his family in 1818. He visited the Catskills in 1825, roaming the peaks and valleys of the Catskill Mountain range, sketching its splendor and selling his work to New Americans who were eager for art that captured the spirit of the countryside. Cole married Maria Bartow, whose uncle owned Cedar Grove, this Federal Style Catskill homestead, and moved in with Maria and her three sisters (all wards of “Uncle Sandy) here. You’ll begin your tour overlooking the Catskills in the distance and the same tree that stood here in Cole’s day near the front door. Your guide reads excerpts from Cole’s letters and diaries: lyrical, poetic entries on his life and surroundings. 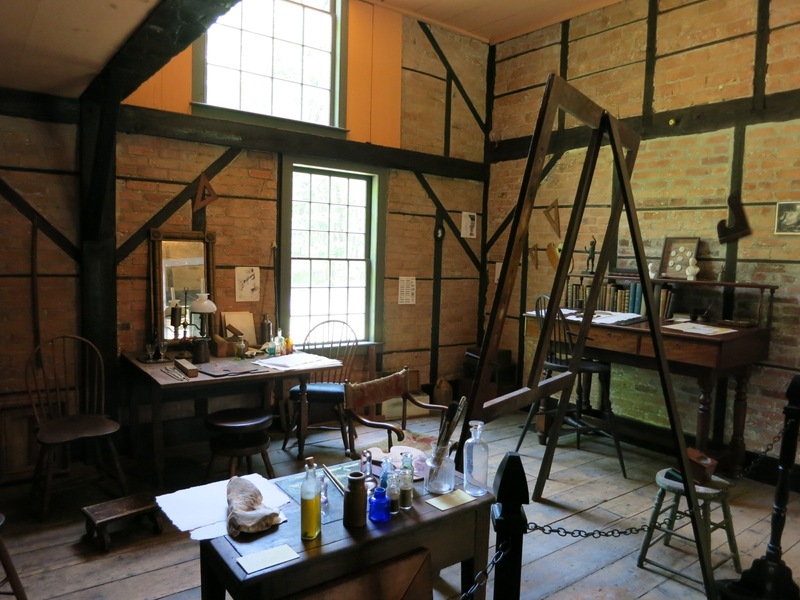 You’ll see the artist’s paint box, his writing desk and his old studio – rustic in “unplastered brick” just as he described it. 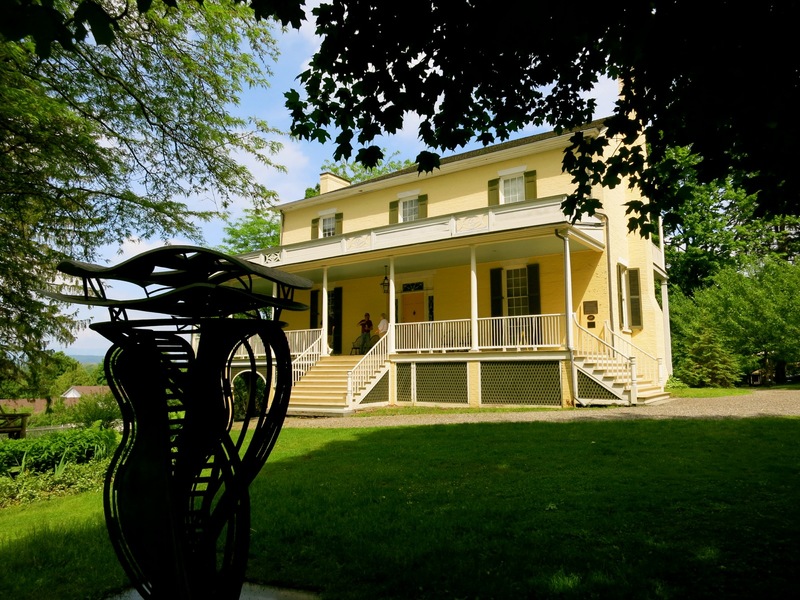 To round out your Hudson River School of Art Getaway, visit the homes of both Thomas Cole NHS and Olana, Frederick Church’s home across the Hudson River in Hudson NY. FYI – this Historic Site shares a parking lot with Temple Israel. The synagogue’s parking is in front – the NHS parking is in back. Open Tues-Thurs 10-4, Fri-Sun 10-1, tours on the hour – $12 adults, kids under 16 free. 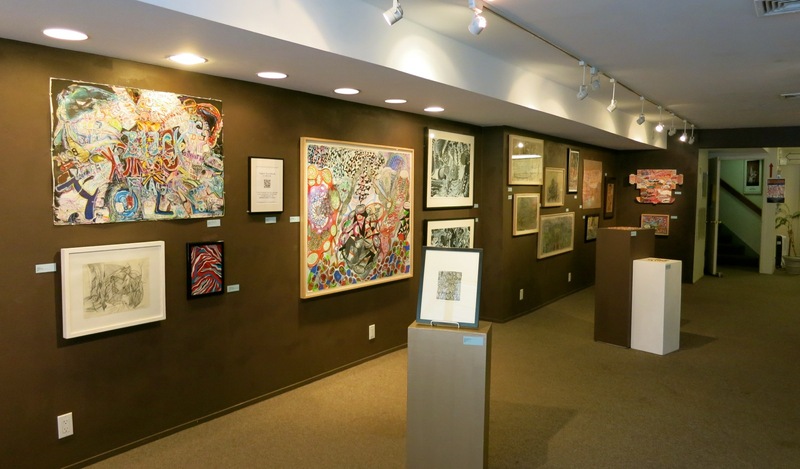 VISIT: Greene County Council of the Arts Gallery. See what artistic locals are up to in this great little art gallery. From paintings to ceramics, and um, colorfully designed pistachio shells, its got something for everyone – even if you just want to browse. But you just might want to help an emerging artist along by picking up a painting or work of art at a fraction of what you’d pay for a piece from an established artist. Open Mon-Fri 10-5, Sat. Noon-5, free. SHOP: Mahalo Gift Shop. It’s jam-packed with everything you want but nothing you’d ever buy for yourself. Locally made jewelry, stuff for dogs, cat tea towels, plenty of chimes, and even Kinetic Sand for kids at heart. SEE: The Catskill Cats. They might not be “clean as country water, or wild as mountain dew,” but these painted, decorated, dressed up plastic kitties are all the rage every year. People make a fe-line to Catskill just to see them. 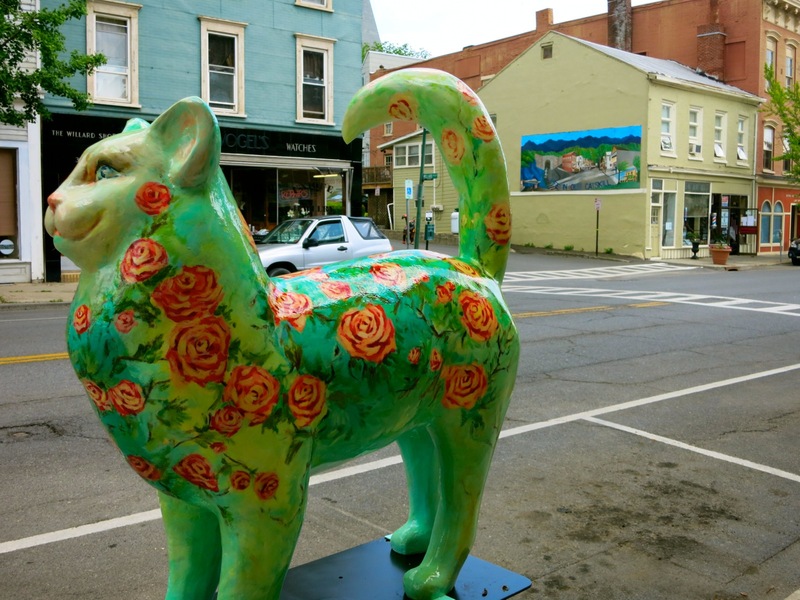 This year (2015), 37 are scattered around town, and will be auctioned off in the fall. WANDER: Main Street. It’s that typical art-commerce-regular humble downtown where the small police station is next door to a pizza slice place (Village Pizza – supposedly the best pie around), which is next to The Daily Mail local newspaper office, which stands next to the firehouse, and on and on. 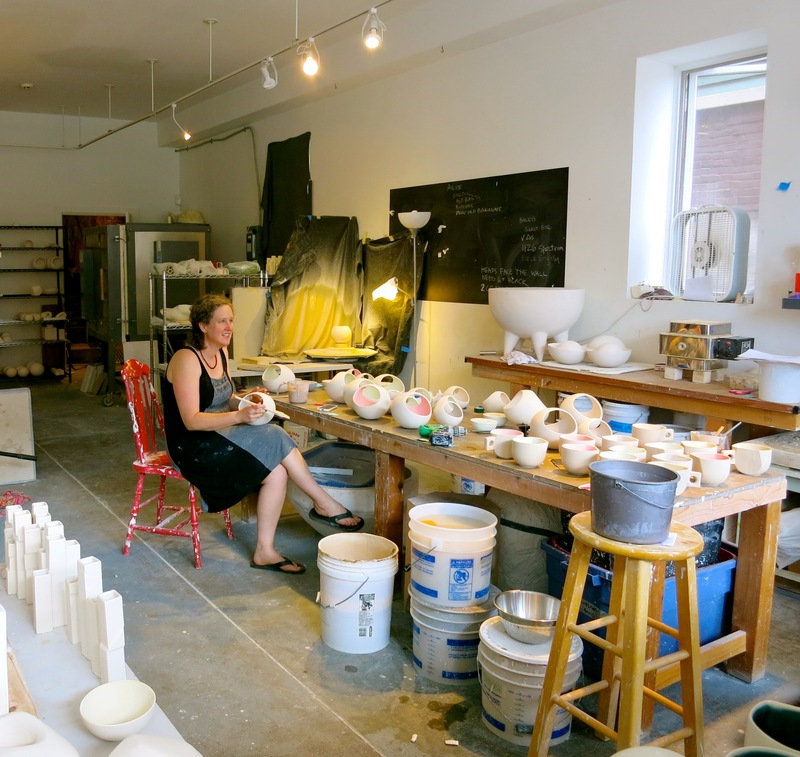 Stop into the indie Magpie Bookshop and to watch L&M Studio artisans crafting porcelain tableware. WALK: Historic Catskill Point. 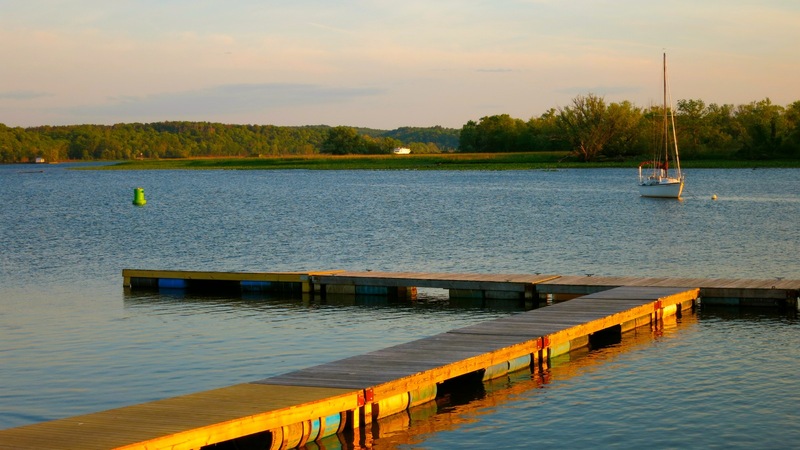 Yes, Catskill NY is on the Hudson River – and where Catskill Creek merges with the greater river. 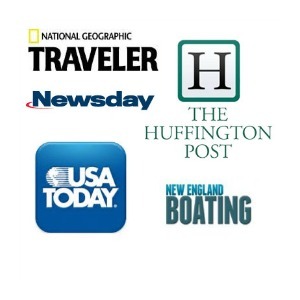 Check out both recreational and commercial boat traffic, marinas and sailboats at moorings. And be sure to take pictures of the Rip Van Winkle Bridge – it makes for a perfect selfie or friendie background. WALK: RamsHorn-Livingston Sanctuary. On the far side of the creek, you’ll find this oasis for birds and other shoreline wildlife. Take a two-mile walk through forest, ponds and wetlands – a nice feathered-friend diversion after all of those cats. EAT/LOWBROW: A&G Wieners. It’s an old-fashioned fountain shop with counter service, round stools, and dogs sizzling on the grill. Try the Texas version with chili or Italian Hot Dog with onions, peppers and potatoes. Splash on some of Nick’s homemade hot sauce (you can buy some to take home) for an extra kick. 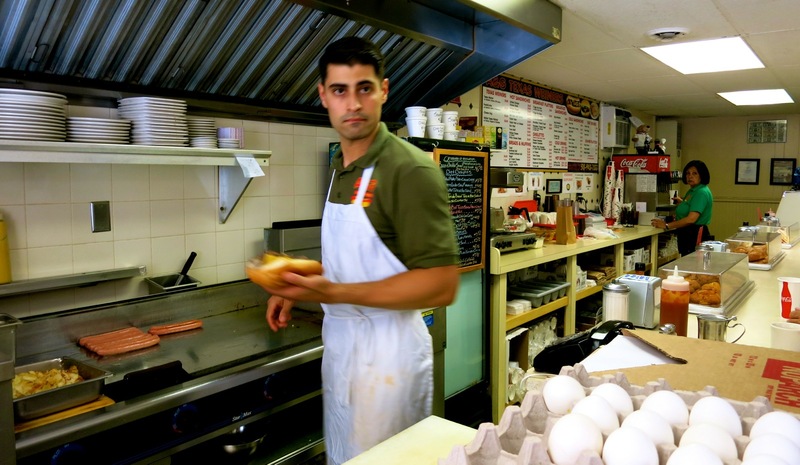 EAT/VIEW: Frank Guido’s Port of Call. The food is respectable, but the views are outstanding at this creekside spot. Come for a glass of wine and a couple of Lobster Tails ($36.50), and you’re all set. The pours, thank you very much, are generous, providing you with ample time to watch the sunset over the docks. 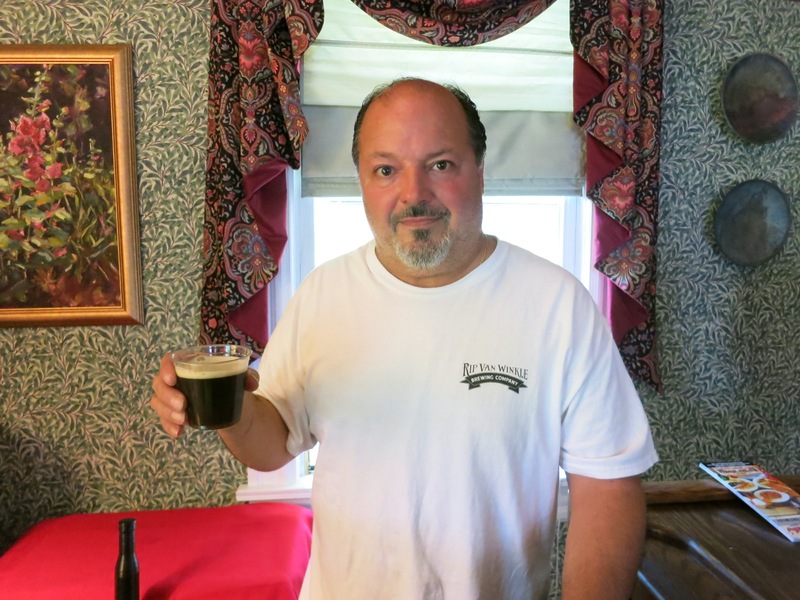 DRINK/EAT: Angela’s Pizzeria and Rip Van Winkle Brewery, Catskill. Joey LaBianco is master-brewer, while his Mom, Angela, cooks the food at this casual Italian eatery. Come for homemade pasta – and wash it down with award-winning house-made beer. STAY: The Kaaterskill Inn. A few miles out of town, this rustic-luxe property is winning raves from guests with posh rooms that Mother Nature herself would adore. 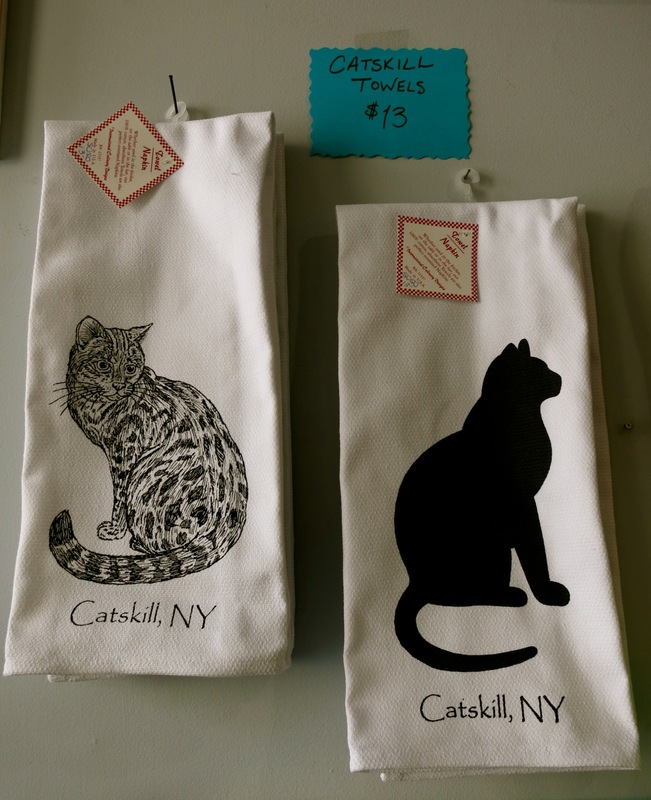 COMING ATTRACTION: Catskill Mills. Artisans are hard at work in this soon-to-be restaurant –artisan studio – hotel complex carved from an old mill building: a project by father and daughter Steve Halmos and Stef Halmos, of Brooklyn. No news on when this work-in-progress will open, but as a new concept, it’s too cool and ambitious not to mention here. One more great option next time you’re in town – the Catskill Mill Food Truck (the first venture of the Mill project that you mentioned) – is open (seasonally) and thriving, serving amazing Vietnamese-inspired and locally-sourced lunches with great river views. One of our all-time favorites!